December 17, 2013 — Greater Toronto Area REALTORS® reported 2,483 residential sales through the TorontoMLS system during the first two weeks of December 2013. This number of transactions represented an 18 per cent increase compared to 2,104 sales reported during the same period in 2012. 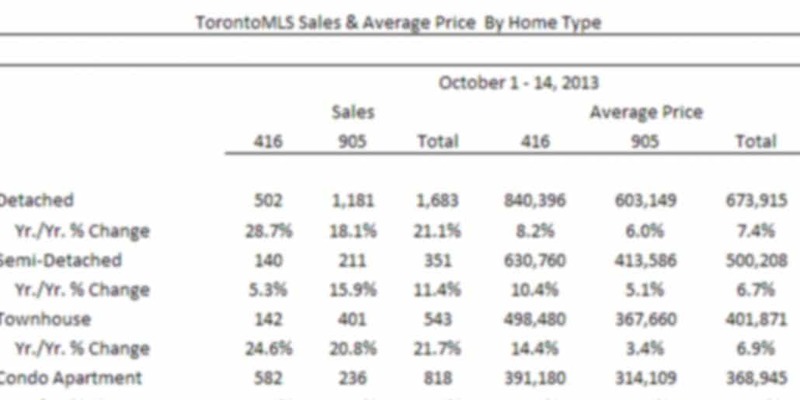 The number of new listings entered into the TorontoMLS system was basically unchanged from a year ago. The average selling price for December mid-month transactions was up 10 per cent to $520,379, compared to $471,602 reported for the first 14 days of December 2012.